I'm on board, with Destination Red! 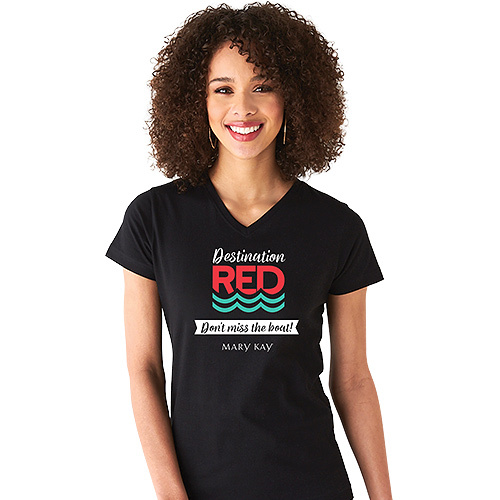 Anyone - yes, ANY Independent Beauty Consultant - can get on board AND you can show your commitment to changing your business with this Destination Red t-shirt! This black v-neck tee is 100% Cotton and available in sizes SM through 3X.